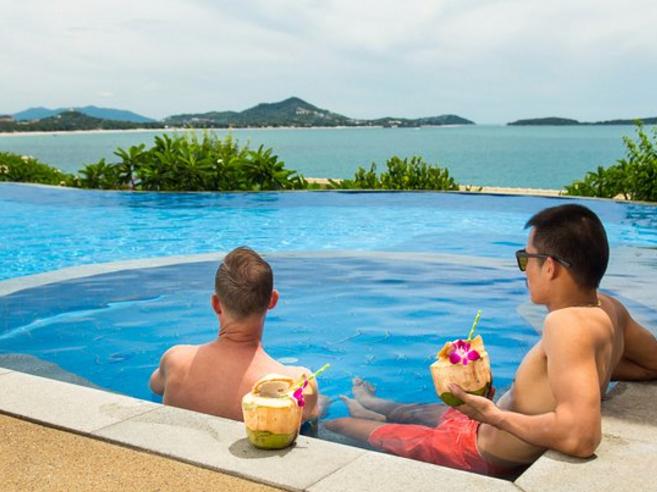 Boujis Boutique Resort Samui is delighted to become the “Go To” LGBT resort in Koh Samui, as well as one of the best eco-friendly resorts in the area. 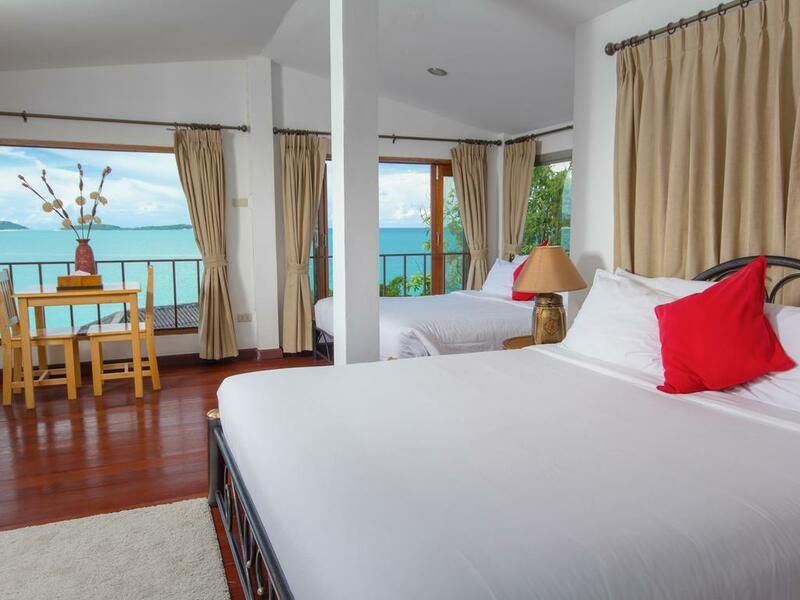 We are only 4 minutes walk away from the pristine Chaweng Noi Beach and the restaurants and beach bars that accompany it, making us a great place to stay for solo travelers, couples, and groups of friends. 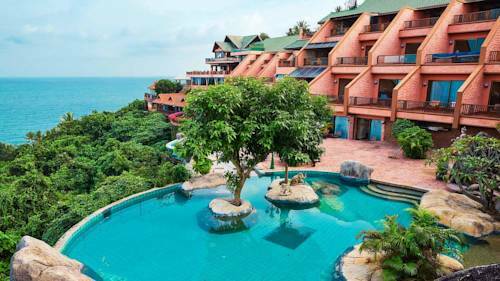 The main Chaweng beach and Lamai beach are but a short taxi ride away, both beaches are renowned for abundant and vibrant nightlife together with attractions and restaurants galore. 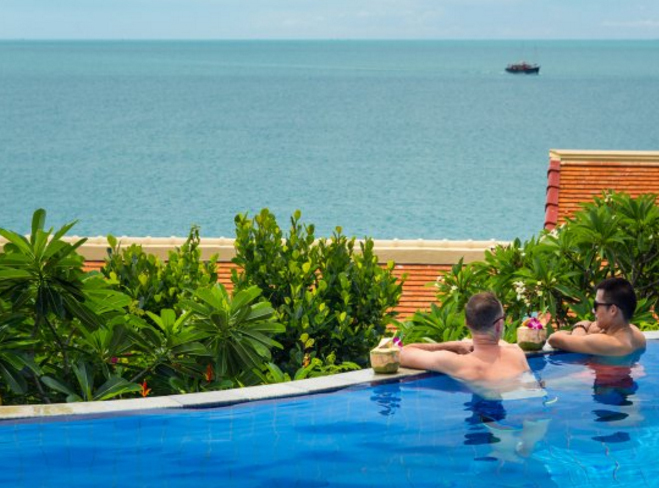 As an LGBT-friendly resort, our mission is to provide you with the best accommodations and service that you will find in Thailand, not just in the Koh Samui area. Our staff are well-versed in the most popular things to do in the area, as well as offering you options for relaxation experiences. We will strive to ensure that all of our guests, including you and your friends, are happy and safe whilst staying with us. We are happy to cater to the LGBT community that visits Thailand. We have taken every precaution to ensure that our staff, our villas and our property as a whole meet the high standards of all of our guests. We hope that you will find your stay with us a memorable one. We offer you 16 seafront holiday villas, which are perfect for a holiday stay with friends! All of our villas come equipped with at least one bedroom, a bathroom, living and kitchen areas, and verandahs. Air conditioning, free high-speed WiFi, Netflix?Apple TV, and laundry services are also available for all of our villas. And with room for up to six people in the deluxe 2-bedroom holiday villas, you can bring your lover and your best friends for a holiday you won’t soon forget! 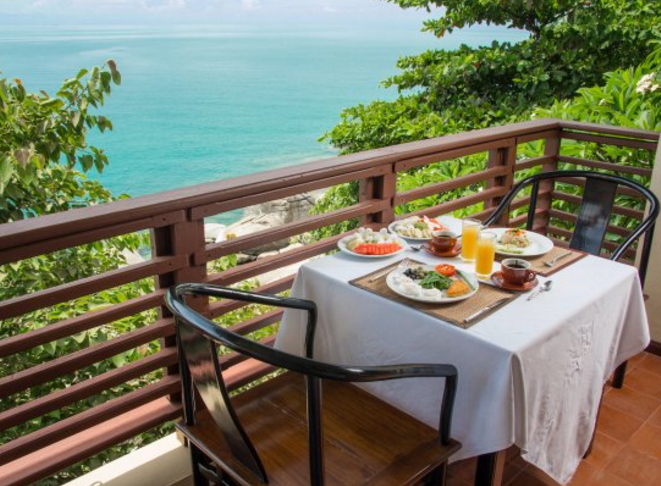 Each of our villas offers you spectacular views of the Chaweng Beach and Bay, and some even offer extra views of the gardens that can be found on our property. All villas can offer room service from Dr Frogs Bar and Grill, and should you and your guests decide to eat in-person, please remember that you will be given preferential treatment at the restaurant. Kitchenettes with a gas hob and microwave are in all villas with a fully stocked fridge including fine wines, complimentary tea, coffee and water. Gourmet breakfast is available next door at Dr Frogs. Full room service is available from 7am. Boujis has all the comforts from home you could want including a modern Apple TV for you to choose from new movies, old classics, sitcoms, documentaries or plug in your own laptop. We can also provide an extensive film library free of charge. Free Wi-Fi is available across the resort. Our stunning bedrooms have king size luxury designer mattresses with Egyptian cotton linen, air-con plus fans. All villas have a complimentary mobile phone with a local sim card and starter pack that can be topped up at reception or local stores. Phones are pre-programmed with useful local contacts.